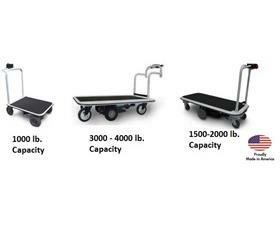 Ergonomic solution for transporting heavy loads. 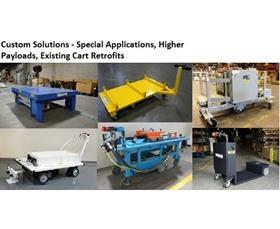 Cart is shipped fully assembled. The Pony Express Motorized Platform Cart eliminates employee injuries caused by excessive push/pull forces found in manual carts. 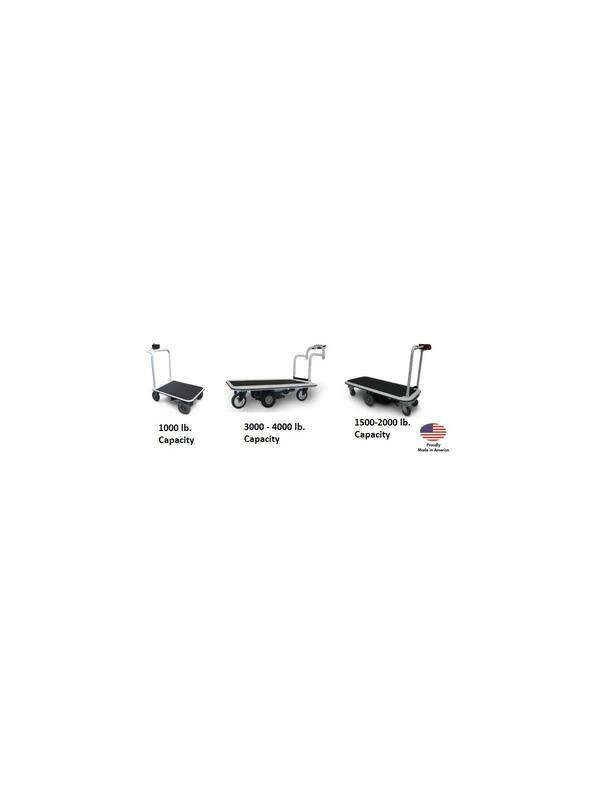 The cart features a 12" deck height, heavy duty powder coated white steel frame. Deep cycle AGM rechargeable batteries, on board UL, cUL listed120/240 VAC battery charger. Foam filled never flat drive tires with solid state regenerative braking and holding brake to maintain position on inclines. Non-skid platform surface and curved platform corners with full wrap around vinyl bumpers to protect the cart and surroundings. Ergonomic handle control design provides the user with variable speed forward and reverse control from 0 to 3 miles per hour in fast mode or 0 to 1.5 miles per hour in slow mode. Keyed power on/off that can be removed for security. Color battery charge level indicator, emergency stop button and horn. Backed by a 5-year limited warranty. FOB Shipping Point. W x L 24 x 32" 25-1/2 x 40" 25-1/2 x 49" 25-1/2 x 61" 34-1/2 x 52"